Sometimes we need to filter the gridview data based on some range value. On that case we can use AJAX Slider control to provide scrollable Filter functionality with gridview control. 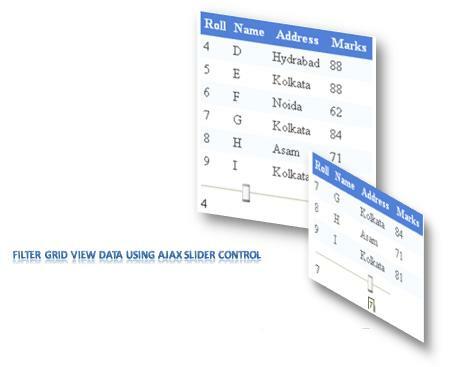 Data source for the Gridview can be anything like XML or Database. I will also write one article on AJAX MulipleSlider to filter the data based on minimumn and maximum value. Please share your valuable feedback and suggestion.